While much of the North American audience is already looking three weeks forward, there's still a bit of an appetizer, an amuse bouche, for the superhero crowd. It's not quite enough to claim its own weekend though, with two other films jockeying for elbow room. It hasn't been a particularly crowded last month though, so the coffers do need to be refilled a bit. One of DC's stranger properties, though it does get back to the old wish-fulfillment ideal of the classic age of comics, Shazam! is the latest entry in the DC Extended Universe. Like a superhero version of Big, it centers around a young boy, Billy Batson, who is granted the super powers by a wizard (whee, DC) that also turn him into a grown man whenever he says a magic word. Played by Zachery Levi (best known from the TV series Chuck, but who's been fairly invisible for the last five years), he's a literal man-child that has to wrestle with his new powers, and is pitted against a super-villain (Mark Strong) that aims to use the power of the Seven Deadly Sins to control the world. There's quite the silly and light-hearted tone that they're going for here, with the potential sacrifice of some of the older audience. It's a bit of a calculation, perhaps, that grimdark needs a bit of an antidote in the current marketplace. It's a tactic that's worked well for the last couple of Spider-Man movies (Spider-verse and otherwise), and to a lesser extent the Aquaman and Deadpool movies. Superhero movies should be fun, you see, and with the Return of the King-like Endgame coming up, maybe we want something in a much lighter vane. It's a solid gamble. Things didn't look quite that way to begin with, as the initial trailer was just plain bad and embarrassing. Whatever the problems were, that's been cleaned up in later material with the tone adjusted and the balance between pre-teen fantasy and grown-up expectations becoming a little more clear. Reviews are very strong and it's got a full court press on the promotion from Warner Bros. There's almost a charming old-school feel to this - like a superhero film from the 90s, but with the lessons learned from that time of what not to do in a heightened film. A start of around $57 million seems likely here. The enormous success of It two years ago saw a bit of a revival in getting the novels of Stephen King back to the big screen. Several dozen of his works are currently in some stage of finishing, a speed of adaptation that hasn't been seen since the 80s, though I'd note that a bunch of them are short films based on his short stories. 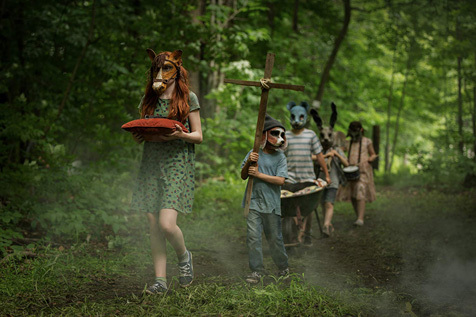 Pet Sematary is one of the better and scarier adaptations and it gets a remake this weekend. The story is one of his better known and creepier ones - a Maine burial ground has the ability to bring dead things buried in it back to life - although they come back "wrong". Jason Clarke plays the father of a young family that discovers this when their family pet, a cat, is killed, then brought back, ornery and kind of hostile (so "a cat", you say). While this very possibly a bit of a mistake to do, this is tested even further when the family's daughter (a change from a son in the original story) is run over and in his grief, he decides to test out what the cemetery can do for people. Nothing great, one supposes, and what's dead is probably better left there, rather than paying the terrible cost of bringing someone back.